Urban Simplicity: Five Quotes from Rev. 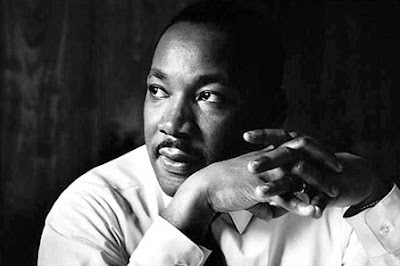 Dr. Martin Luther King, Jr.
Five Quotes from Rev. Dr. Martin Luther King, Jr.
"Nonviolence means avoiding not only external physical violence but also internal violence of spirit. You not only refuse to shoot a man, but you refuse to hate him."